How to Handle a Slab Leak in Your Home? 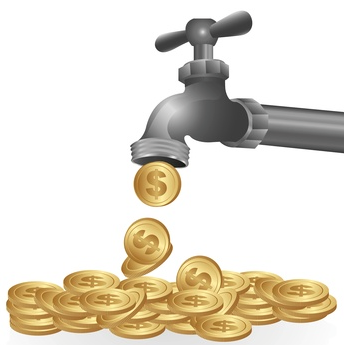 Is your water bill steadily rising each month with no sign of an end to this trend in sight? 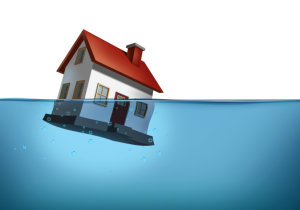 You might have noticed high amounts of water running through walls in your home or become aware of a warm patch on your floor in your living room. An increased heating bill is another warning sign that you may have starting noticing. If any of these situations above sound familiar or apply to your home, it is possible that you may be dealing with a slab leak. Do You Hear a Running Water Noise? 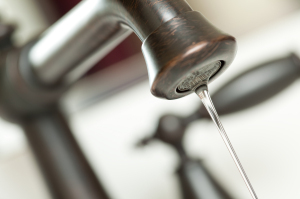 Are you hearing running water sounds when none should be apparent? Whenever you are hearing the sound of water in your home, that sound has to be coming from somewhere. If you can’t see a leak with your own eyes, chances are that you have a slab leak. A slab leak is not visible to the naked eye, but it can cause disaster to your home if left untouched. Another common sign of a slab leak involves the presence of warm patches on the floors throughout your home. If you start to notice these types of patches in your home, it is a good idea to have your home inspected for a slab leak. 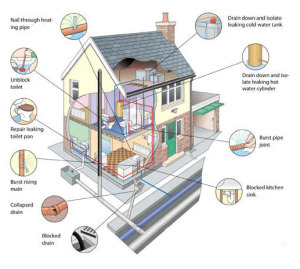 How water pipes in your home are constantly insulated except for when they are a part of a radiant heating system. A sign that you might have warm patches can be pets. Cracks on your walls and floors can be caused in a variety of different ways, but if you are dealing with increased water in the soil surrounding your home, it is likely that the cracks can be attributed to a slab leak. The water flow from the slab leak causes a vacuum effect over time that results in floor and wall cracks. At the first sign of cracking, you need to take action to determine the problem and rule out a slab leak. Increased amounts of moisture can also be the result of a slab leak. Water can flow through the leak and lead to increased moisture that turns into mold or mildew. 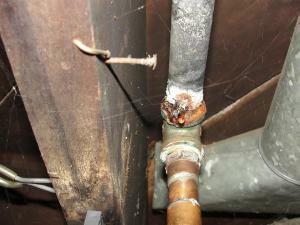 You should always call a trained plumber at the first sign of mold growth within your home. http://knoxvilleplumbingllc.com/wp-content/uploads/2015/05/Knoxville-Slab-Leak-Detection-Repair.png 577 826 Knoxville Plumber http://knoxvilleplumbingllc.com/wp-content/uploads/2016/09/Website-Logo-KNoxville-Plumbing-2.png Knoxville Plumber2015-05-05 17:06:432015-05-05 17:06:43How to Handle a Slab Leak in Your Home? That might be your frantic lament if you have not checked around and found a plumber that fits your bill. Many people do use the yellow pages, calling around to find one that can come out today and will take a check. Some might even throw darts at the phone book to select whom to call. There has to be a better way if you are using one of the above examples. A better way would be to start looking before a pipe breaks and floods your basement. You might see a plumber’s truck on the street, or in your neighborhood, and, after they leave, go up to the door and politely ask how they liked the plumber, and why? Talking with your neighbors about their experiences and asking whom they would recommend is another way. If you are having any work done on your home, you might ask the contractors if they have someone they use and trust. With these few names in hand, you can contact the Better Business Bureau and ask if they have any complaints filed against them. You can also check the yellow pages to see what kinds of plumbing they do, what days they work, and what areas they service. You do not want to be calling someone miles away and have to pay for travel time. After you have narrowed the field, try one of your selected few the next time you need a small job done. This will help you assess how they operate; their clothes, tools, trucks, attitudes, prices, etc. If you like what you see, be sure to get the service person’s name, so you can ask for that person specifically. You might try two or three different companies to see how they compare, perhaps even rate them. This way you will have a backup if the first is too busy to take you order. Everyone knows that having to call a plumber to come to your house to repair something is not the highlight of your day, or even your week. This is why you should be ahead of the game, and have one or two selected plumber’s phone numbers by your phone. When undertaking such a process we would encourage you to give us, your Plumber in Knoxville, a call asap! Should My New Home Have a Plumbing Inspection? Having a trained and licensed professional inspect that important part of the house will give you the relief and security to move in and live comfortably. While he cannot see what is inside the walls, he can judge the condition of what is inside, by looking at the condition of what is visible outside the wall; by looking at how and where a pipe enters the wall, and the way it was constructed. Their trained eye will spot things that may look fine to you, but shows signs of poor practices and materials. Outside – A proper inspection may start at the street to see if the piping, whether galvanized iron, plastic, or copper tubing, is of the proper size and up to current codes. They will insure the water shut off valve is accessible and working. At this time they will make sure the sewer drain line has the proper cleanout trap near the house. While still outside they will check that there are the proper outside spigots for garden hoses and that they are in usable locations and working condition. They will look to the roof to ensure the vent pipes are in place for all drain locations. Inside – They will inspect every water access location in the bathrooms, kitchen, laundry room, and accessories, such as water softeners and icemakers. They will determine that the faucets are new, or in excellent shape and not leaking. 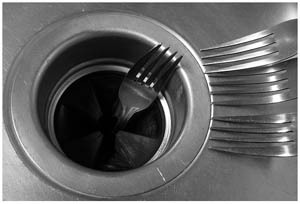 They will look under the sinks to ensure there are shutoff valves on all fixtures, and the fittings are tight and not corroding. They will be alert for loose pipes where they exit the wall, and check if there is a bang when the faucets are turned off, indicating the air cushion has been lost, or not installed properly. These points, and probably a hundred more, are what they will be checking. Sometimes it may be that something is just not right, and should be looked at more closely. http://knoxvilleplumbingllc.com/wp-content/uploads/2014/07/Plumbing-Inspections.jpg 400 600 Robert Keith http://knoxvilleplumbingllc.com/wp-content/uploads/2016/09/Website-Logo-KNoxville-Plumbing-2.png Robert Keith2014-07-15 14:21:442014-09-05 14:26:48Should My New Home Have a Plumbing Inspection? 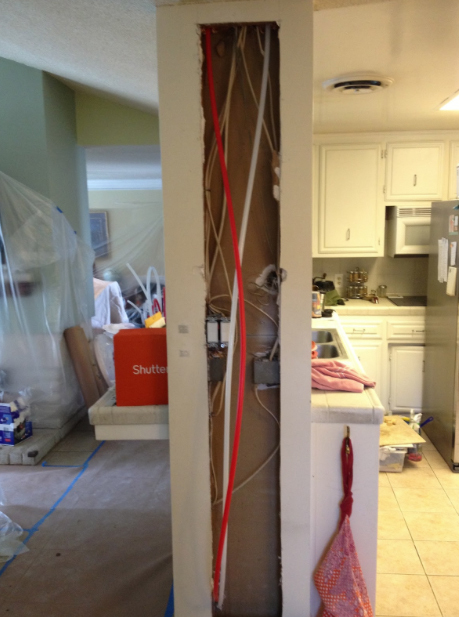 Then – I am remodeling; do I need a plumber, or not need a plumber, that is the question. In Shakespeare’s time, I would guess, ‘no,’ because in the 14th and 15th centuries, indoor plumbing was long overdue, but had not arrived. Now, in the 21st century, it has arrived, and what a selection we have. When remodeling these two rooms, it is more than simply replacing the fixtures and appliances. Most often, walls are removed, windows added, new lighting in the ceiling, and below, a grand floor. New plumbing in these areas will ensure that the plumbing will last trouble free as long as the new fixtures and appliances. How disappointing to have all the work done and then, discover a leak behind all the new everything else. A thing to remember, remodeling is a rough time for an older house, with its structure being pushed and pulled every which way, and the old plumbing with it. All the old pipes and joints are twisted and stressed after years of comfortably settling in place, with only an occasional earthquake to awaken them. When remodeling, the general contractor has to coordinate the work between all the subs, the plumbers, electricians, and carpenters. The contractor ensures that something does not go in before it should, and then needs to be removed to make room for something else. Now after days, weeks, even months of dust and inconveniences, the remodeling is finished. Your new kitchen and bathrooms gleam and sparkle like the new star attraction that they are. Everyone will want to see what you have done, and compliment you on what wonderful new rooms you have. Therefore, if you have not yet remodeled, we would hope that we have moved you enough to think about remodeling. Forget about the dust and inconveniences, think of the star. I Only Have a Home Project, Should I Hire A Plumber? Plumbers do have a sense of humor. 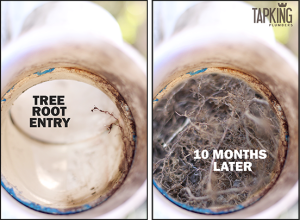 One had a slogan, “We fix what your husband broke!” After a while in the business, an experienced plumber has seen it all; the broken pipes, clogged toilets, leaky faucets. For a stopped up toilet that you might be able to fix with a plunger, maybe no. Everything else, YES! 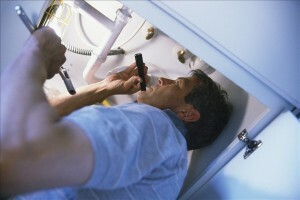 Most of the time you will talk with an experienced call taker that schedules the workload for the plumbers. She, or he, will need to know, what is the problem? Based upon what you tell them, they most likely ask you some questions about the situation, ask your name, address and phone number, and set a time for the plumber to arrive at your home. 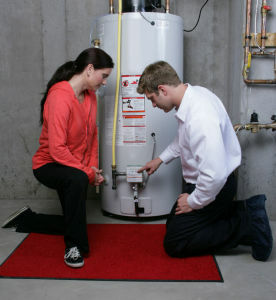 They might even give you some hints of what you can do before the plumber gets there, so the situation does not get worse, and how you may be able to work around the problem until it is fixed. An Experienced plumber will arrive at your home with the work-order written by the call taker, and the tools and parts that their experience tells them they will need to complete the job. Usually, the more information you can tell them when you call, the better equipped they will be when they arrive at your home. In addition to their experience, you should observe how they treat you, and your house. Plumbing is a dirty business, and some soiling of their cloths is to be expected, but they should not be dropping dirty rags and leaving dirty shoe prints as they enter. Nobody enjoys working with someone looking over their shoulder. However, a polite question about why it broke, or how not to do it next time, should bring a nice response. Small projects sometimes have a way of becoming a serious emergency quite quickly. When changing a faucet, the shutoff valve may break off the copper pipe and you now have gallons of water flooding your kitchen. When attempting any plumbing jobs on your own, always start the job by shutting off the main valve into the house. In any case, you should know where that valve is and how to use it. When deciding if you should hire a Knoxville Plumber, we would encourage you to give us a call today! 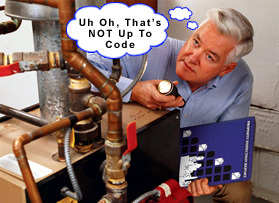 http://knoxvilleplumbingllc.com/wp-content/uploads/2014/07/inspector-says-not-to-code.jpg 203 279 Robert Keith http://knoxvilleplumbingllc.com/wp-content/uploads/2016/09/Website-Logo-KNoxville-Plumbing-2.png Robert Keith2014-06-15 13:45:232014-09-05 14:26:58I Only Have a Home Project, Should I Hire A Plumber?